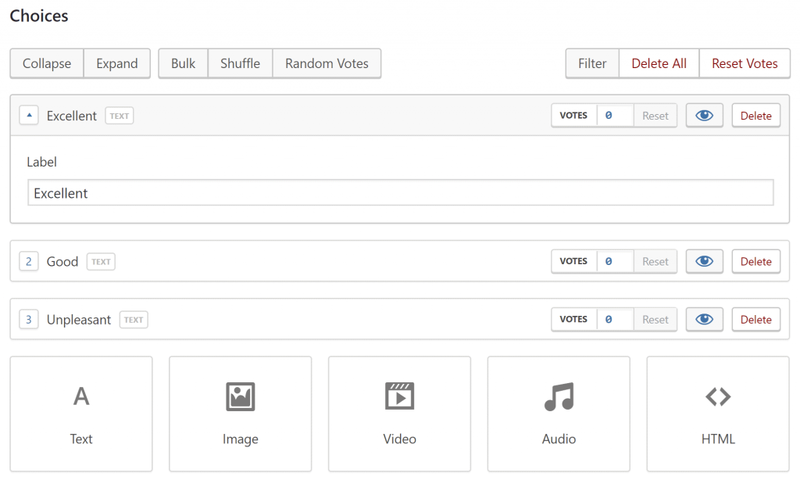 Making polls in WordPress using TotalPoll has never been that easy thanks to its intuitive interface. In this article we'll cover how to create a simple poll using TotalPoll. 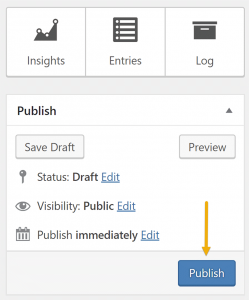 First head to your WordPress dashboard then click on Polls > Create Poll from TotalPoll menu. Like every post in WordPress, your poll must have a title that will be used in polls listing and page title. If you're integrating your poll using shortcode, the title won't be visible. After setting the title, It's time to add questions to the poll, you could have one or more question depending on your need. To add a new question, click on New Question button in questions tab. TotalPoll supports wide range of choice types in order to give you full control over your poll content without compromising usability and user experience. Every poll question may have one or more choice of different types including: text, image, video, audio and plain HTML. For simplicity sake, we'll use text choices so let's add some to our question. Just click on Text button below, for more advanced insertion, you can use bulk insertion mode as well. And voila, your poll is ready to publish! In this article, we've covered the most basic functionality of TotalPoll. In the upcoming articles, we'll cover more features in depth such question settings, choice types, settings, custom fields and much more.